Many job opportunities exist for people with Master of Arts degrees in Spanish. Common career choices include teaching, translating, interpreting, tourism, government posts, and international business. 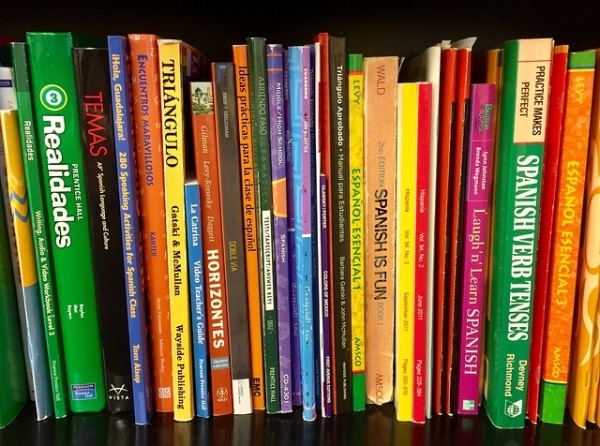 The increasing number of people in the United States who speak Spanish at home make advanced degrees in the language an asset in most professions. According to the Bureau of Labor Statistics, job growth in interpretation and translation is expected to be above average. Tenure-track teaching positions in four-year universities require a PhD, but non-tenure stream university positions and community college teaching are open to those with MA degrees. Full time K-12 public school teaching usually requires specific certification but an MA suffices for substitute teaching in many states. Private and religious schools and for-profit language schools often do not require additional certification. Your MA in Spanish is useful for teaching English to native speakers of Spanish as well. Translation is the task of creating written material in a target language that conveys the content, style, and tone of an original in a source language. Both freelance and full-time jobs are widely available. There are many opportunities in specialized fields like medical or technical translation which require some knowledge of specific subject matter or vocabulary. Businesses use localization translators to adapt their offerings to different cultural and linguistic traditions. Substantial coursework in Spanish-language literature and culture is an excellent qualification for literary translation. The US Department of State offers examinations for contract translation work. Interpretation is an oral translation from one language to another. It requires near-native fluency in both source and target language and a good speaking voice. Interpreters are hired by private industry and government agencies and might serve at conferences and business meetings, work as guides or escorts, or record voice-overs for electronic media. An MA is a good starting point for obtaining jobs as an interpreter but additional specialized certification is often advantageous. For example, National Association of Judiciary Interpreters and Translators and Consortium for Language Access in the Courts provide certification recognized in many state courts and the Spanish-English Federal Court Interpreter Certification Examination qualifies you to work in federal courts. Continuing on from an MA to a PhD. provides both employment and an opportunity to enhance your credentials. PhD. students serve as graduate instructors for many universities first and second-year Spanish courses. Students who have completed MAs may be offered a support package combining tuition remission and teaching assistantship. While these packages will not support a luxurious life in a major city, especially if combined with occasional freelance translating jobs over the summer, they are adequate to support in areas with a low cost of living.